TOLL mining operations manager Jason Harwood had been faced with the dilemma of needing qualified trainers and assessors but completing a Certificate IV in training in assessment was more advanced than necessary. It was this gap in education which led him to take on the Train the Trainer course through Down To Earth Training and Safety Skills. Both Toll Mining and Orica personnel attended the course last week, which was tailor made to fit the needs of the two organisations. Unlike a Certificate IV in training and assessment, the Train the Trainer course can be completed in as little as two weeks and does not require constant re-skilling. "The intention for us is to use the training and the qualification to go back to the workplace and apply that via these coaches that are getting trained now into our workforce to make sure that all of our workers are trained competently, assessed, made sure that everyone's comfortable, that they're able to do the job safely and productively,” Mr Harwood said. 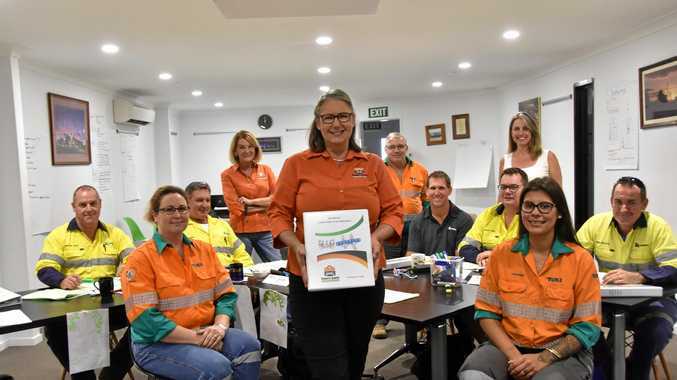 Director of Down to Earth training and safety skills Kerryanne Tawhai, who conducted the course, said it was designed to fill a gap in the market between the Certificate IV and lack of qualification. "What this course does is it equips workers with the skills to coach and assess others in the workplace against their own industry standards,” Ms Tawhai said. "It's legal requirement under safety law to make sure people are trained and assessed and verified that they can do the task. The course will run again throughout the year and Ms Tawhai is keen to work with other businesses to train them up to standard.